Some examples of the amino acids associated with umami are glutamates in kombu or soy sauce; iosinates found in fermented fish, shellfish and meats; and guanylates, which are present in mushrooms like shiitake.These different types of amino acids can be combined to increase the umami taste in your dishes. Got it? As with all the flavors, the trick is to use umami to balance out and enhance the other flavors present in a dish. 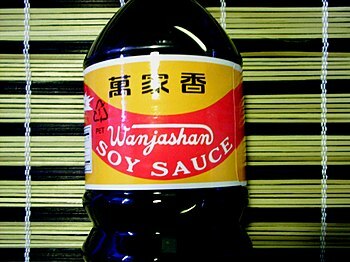 If you add soy sauce (umami), for example, you’d want to reduce the salt (salty). If you’re using fish sauce (an umami bomb often found in Asian food) you’d add acid to balance it out (citrus juice, for example.). Got it? Let’s think about umami in business terms. You have the basic building “flavors” of solving a customer’s problem, the enterprise’s financial goals, customer service, producing the product or service, and supporting your team. What distinguishes great businesses from good businesses is the umami added to the mix of those building blocks. Just as adding a rind of parmesan cheese into a soup or stock boosts umami, teaching everyone in an organization to be customer-centric while pursuing clear goals boosts the coherence and performance of the team. It’s possible to offer decent customer service via email but the umami of a caring human to deal with customer issues makes a lot of difference. A long time ago, someone told me to add red wine vinegar to the clarified butter into which I was dipping a lobster. I know now that the sour and pungent vinegar was balancing the fat of the butter and took the lobster to another level. Balancing all the elements of either a dish or your business and making sure that balance includes something that boosts umami is the key, both in the kitchen and in the boardroom. You with me?